Medical Chairs are most often associated with the patient rather than the caregiver. 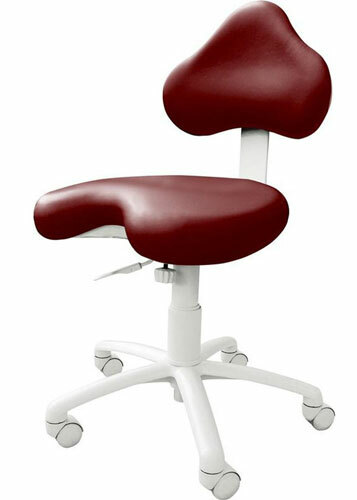 They provide a comfortable place for the patient to sit during an exam or procedure. 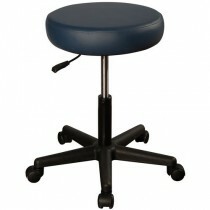 Stools offer physicians and clinicians more flexibility than exam chairs. 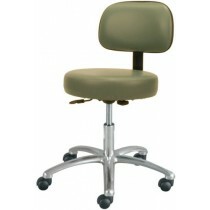 Stools are lightweight and agile while exam chairs tend to be bulkier and heavier. 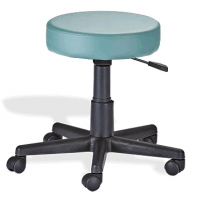 Stools have less encumbrances, allowing better access to the patient. 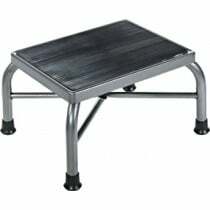 Many modern stools offer the same advantages as chairs, such as armrests, back rest, caster wheels, seat tilt, and padding, but they tend to still have fewer obstructions than chairs. 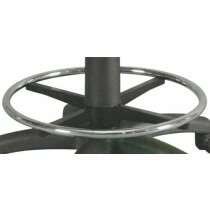 Many exam stools offer advantages that are uncommon on standard chairs such as foot rings and foot activated adjustments. 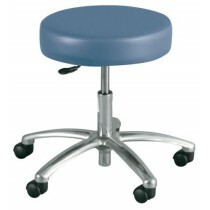 Most doctors find that stools are more flexible and easier to use with greater maneuverability. 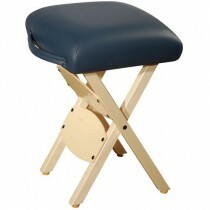 Most importantly, clinicians feel that when sitting upon a stool they can remain comfortably seated and still be in-close proximity with their patient to accomplish their tasks. 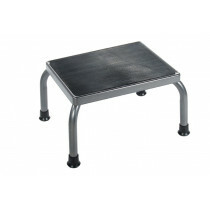 There are many different types of stools designed to support a range of functions. 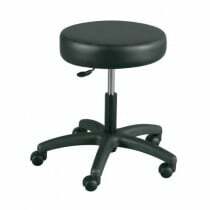 From Lab Stools to Swivel Lab Chairs to Rolling Office Chairs, there is likely a stool developed to meet your specific needs. 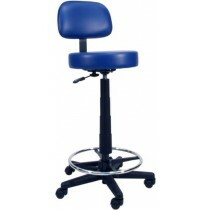 Below is a list of the more common types of stools available for hospital and dental offices. 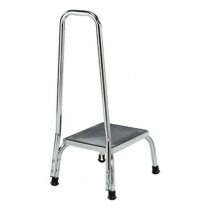 What Are Medical Stools Used For? 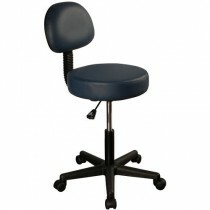 Medical professionals use exam stools and treatment stools to support a seated position while serving patients. These devices support professionals by providing comfort and reducing stress. They are used mostly in hospital and clinical settings. 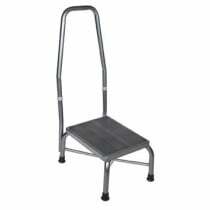 Choosing the best medical stool should be based upon the needs of the user the task the user will be doing. The chart below displays the different types of stool to select from and major features you might want to consider in your purchase decision. Stools are the left are more basic in their features and lower in cost and increase in features and functionality as you move to the right of the continuum. 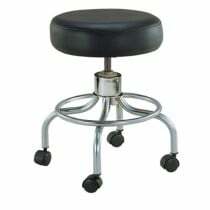 The manufacturers listed below design and make exam stools for use by practitioners. They are among the most recognized and respected in the industry. Kaminsky, Josephine, and Dominick Gadaleta. "A study of discrimination within the community as viewed by obese patients." Obesity surgery 12.1 (2002): 14-18. Alexander, Neil B., Daniel J. Koester, and Julie A. Grunawalt. "Chair design affects how older adults rise from a chair." Journal of the American Geriatrics Society 44.4 (1996): 356-362. Waldenström, Ulla, and Karin Gottvall. "A randomized trial of birthing stool or conventional semirecumbent position for second‐stage labor." Birth 18.1 (1991): 5-10. Cranz, Galen. The chair: Rethinking culture, body, and design. WW Norton & Company, 2000.